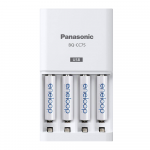 Ideal for photography equipment, handheld games, game controllers, digital cameras, wireless keyboards and mouse, remote control toys, and more. 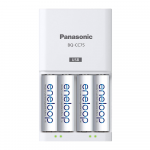 What makes Eneloop Batteries so incredible? 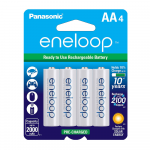 Eneloop batteries utilize a highly durable super lattice alloy which prolongs the life of this important material. Improvements to this super-lattice alloy have increased hydrogen stability resulting in reduced self-discharge and long lasting, stable voltage output. 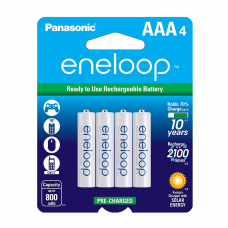 Continued improvements to the conductive surface layer have made it possible to reduce performance degradation during repeated use and thus increase the number of times Eneloop batteries can be recharged. 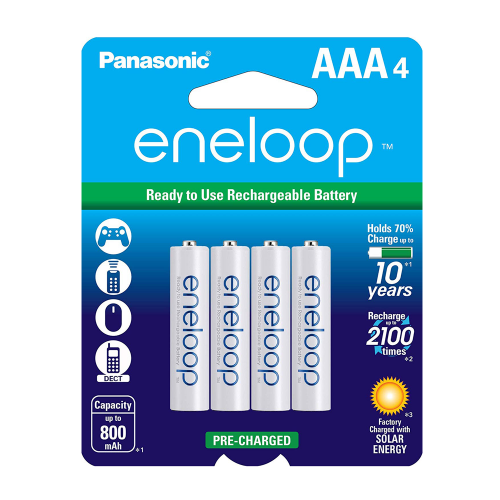 A strong, thin outer casting also provides improved internal cell space efficiency of the Eneloop battery design. This battery shell optimizes the balance of the components and when combined with the improved alloy material and conductive surface layer of the positive electrode active material enables the new Eneloop cells to be recharged up to 2100 times.